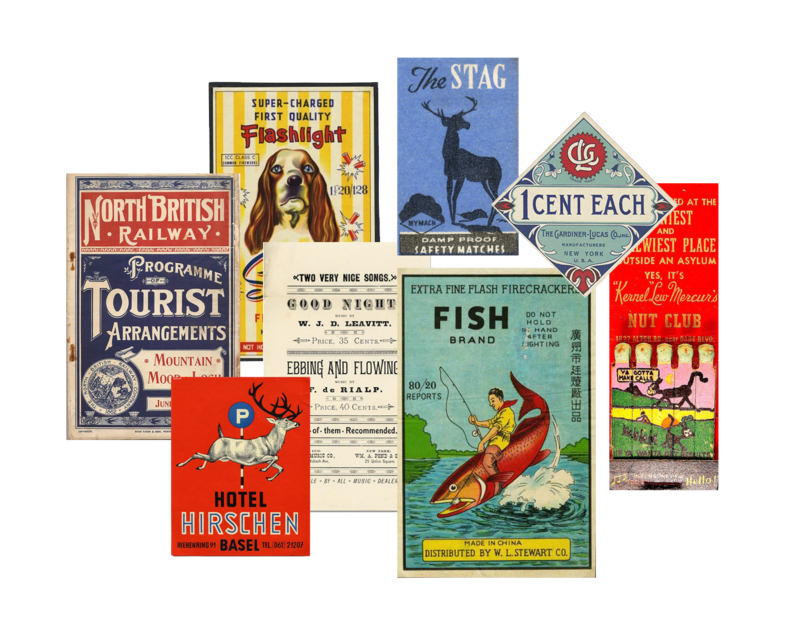 This is a personal project, experimenting with web typography based on vintage type samples — old advertisements, packaging, hotel matchbooks, postcards, etc — and recreating them for the web. Well, who isn’t interested in risk-taking and rule-breaking, especially in the usually non-life-threatening realm of design? For the best coherency and to show how much you can do with so little (and to prevent the world’s longest page load) I chose a few modern typefaces that I felt could illustrate the whole range of samples well enough. Hover or click on the paperclip to view the original imagery, for sake of comparison and including the source. Webfonts Used: Oswald, Krona One, Cardo, Raleway, Herr Von Muellerhoff, and Sacramento.